Winning 2018 teammates Tito Gaudenzi, Melissa Ganzi and MVP Alejandro Novillo Astrada of Bendura Bank. Photo courtesy of Snow Polo World Cup Kitzbuhel. 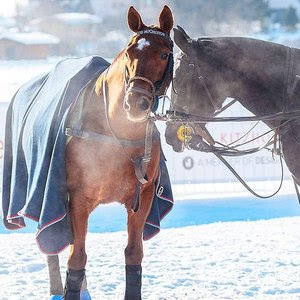 The snow polo season opens in the breathtaking Tyrolean Alps winter world of Austria with the 17th Bendura Bank Snow Polo World Cup. 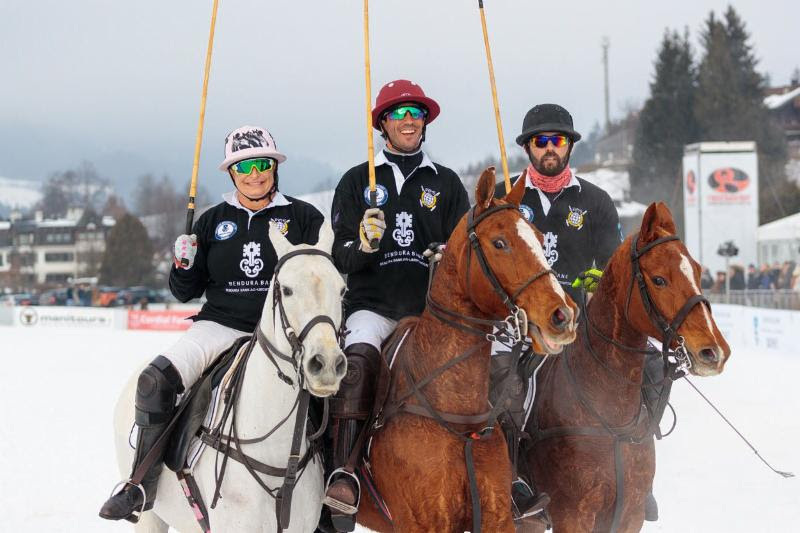 The three-day tournament’s six teams featuring players from around the world were introduced Thursday at the Hotel Zur Tenne in the heart of Kitzbuhel village and Welcome Party at the Casino Kitzbuhel. The matches get under way Friday and continue through Sunday. 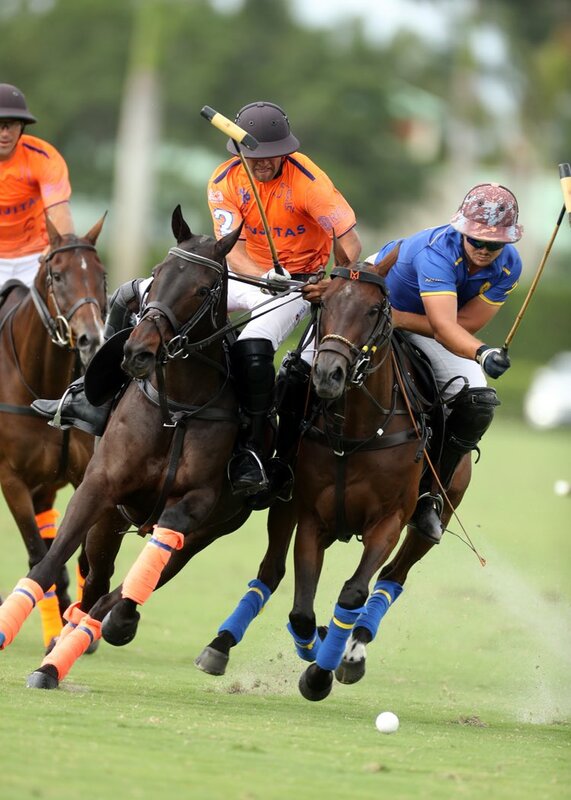 Bendura Bank teammates Alejandro Novillo Astrada and Tito Gaudenzi in last year’s tournament. Photo courtesy of Snow Polo World Cup Kitzbuhel. The event was started in 2003 by Tito Gaudenzi and his father Reto with four teams and 1,000 fans. 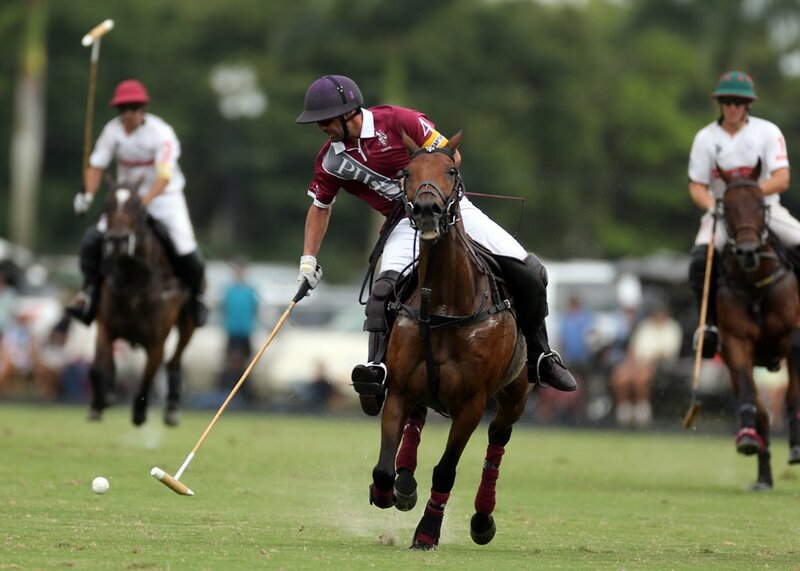 It has grown into one of the country’s major sporting events and attracts more than 15,000 fans over three days. Bendura Bank’s Melissa Ganzi, Alejandro Novillo Astrada and Tito Gaudenzi before last year’s final. Photo courtesy of Snow Polo World Cup Kitzbuhel. 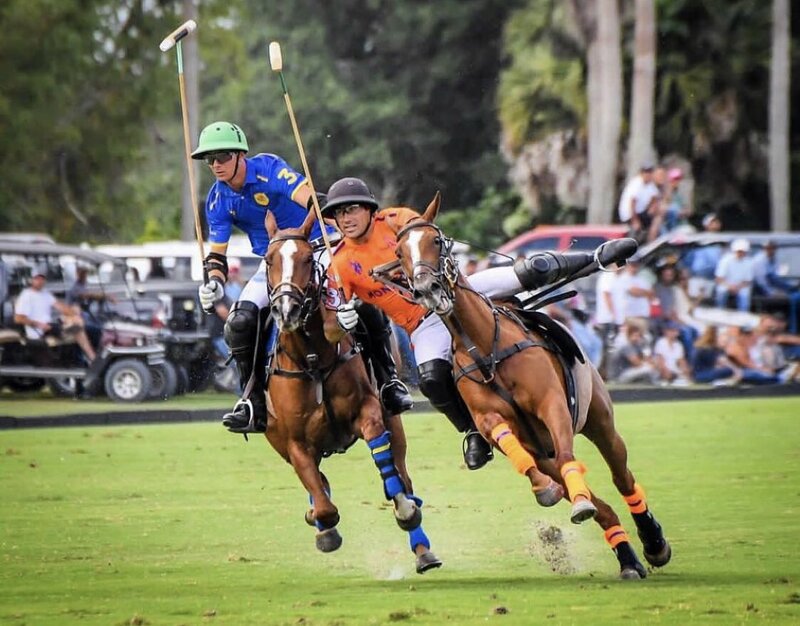 Grant Ganzi, a member of the winning 2017 U.S. Polo Assn. 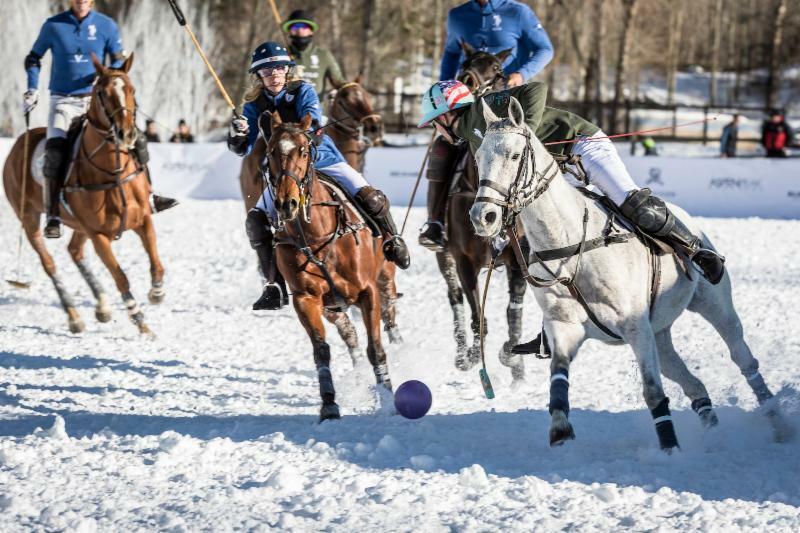 team in the St. Regis World Snow Cup in Aspen and Team USPA, will make his Europe snow polo circuit debut this weekend in Kitzbuhel and next week’s 35th St. Moritz World Snow Polo Cup. Tournament horses staying warm during the action. Photo courtesy of Snow Polo World Cup Kitzbuhel. Bendura Bank (12): Melissa Ganzi, 1, Alejandro Novillo Astrada, 8, Tito Gaudenzi, 3. Engel & Volkers (12): Kutlay Yaprak, 1, Agustin Kronhaus, 4, Adrian Laplacette, 7. Ciroc Vodka (12): Sebastian Schneberger, 2, Aki van Andel, 3, Valentin Novillo Astrada, 7. Bernd Gruber (10): Eduardo Greghi, 0, Grant Ganzi, 3, Pierre Henri Ngoumou, 7. Corum (10): Eckhardt Juls, 0, Patrick Maleitzke, 4, Juan Ruiz-Guinazu, 6. Maserati (10): Marc Aberle, 1, Thomas Winter, 5, Caspar Crasemann, 4. Alejandro Novillo Astrada and Melissa Ganzi position themselves for the throw-in. Photo courtesy of Snow Polo World Cup Kitzbuhel. Three games are scheduled for Friday and Saturday. On Friday, Bendura Bank opens against Corum at 11:30 a.m., Engel & Volkers plays Maserati at 12:45 p.m. and Bernd Gruber plays Ciroc at 2 p.m. On Saturday, Ciroc plays Maserati at 11:30 a.m., Corum plays Bernd Gruber at 12:45 p.m. and Bendura Bank plays Engel & Volkers at 2 p.m.
On Sunday at 11:30 a.m., the game for fifth and sixth place is the opening game. 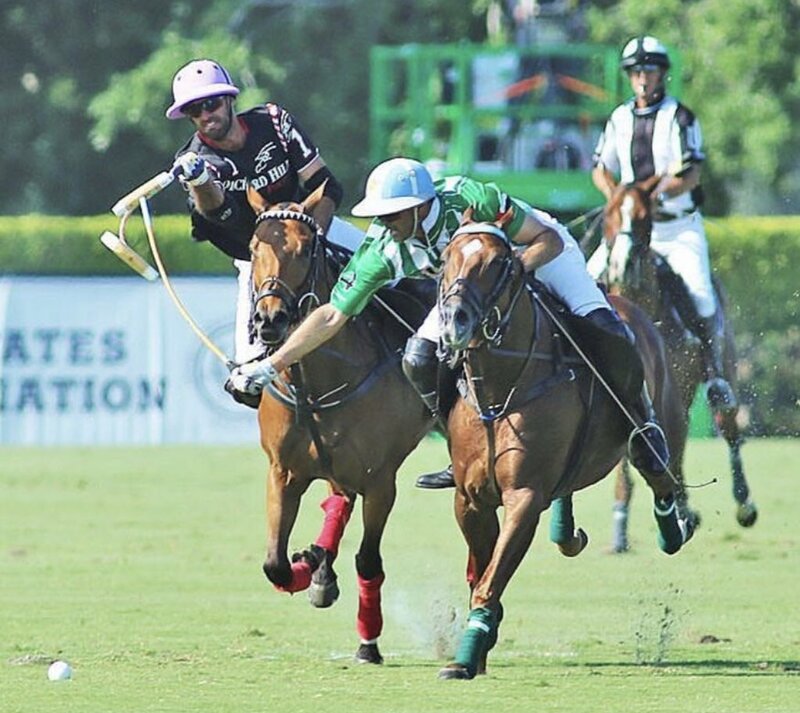 At 12:45 p.m., the Kitzbuhel Country Club Cup will be held for third and fourth place and at 2 p.m. the championship finals will be held followed by the team and awards presentation at 3:30 p.m.
Grant Ganzi of U.S. Polo Assn. Photo by Nick Tininenko. 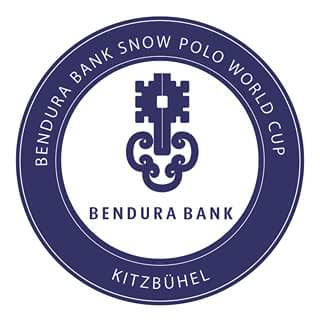 The tournament will be live streamed on the Snow Polo World Cup Kitzbuhel Facebook page during the early morning in South Florida because of the time change. Fans can already watch the match draw that was streamed earlier in the week. Ganzi was the first woman to compete in the St. Moritz Snow Polo Tournament in 2016 and first woman to make the final in 2017. She is also first woman to win the St. Regis World Snow Polo Tournament in Aspen for Flexjet in 2016 and 2018 Bendura Bank Snow Polo World Cup. Ganzi will also compete in St. Moritz. Sellout crowds are expected to line the arena during tournament action. 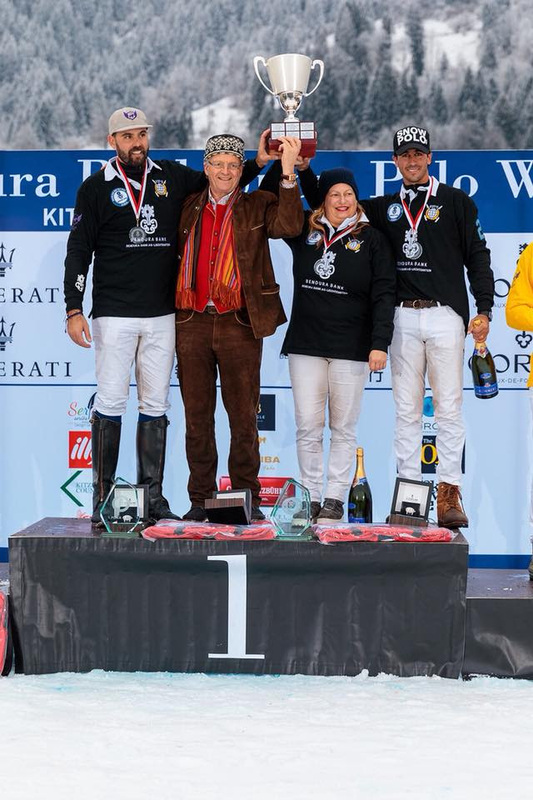 Jan-Erik Franck, the voice of polo who also announces the fall and winter seasons at Grand Champions and Santa Rita Polo Farm and also the St. Regis World Snow Polo Tournament in Aspen, will handle the announcing in Kitzbuhel and also St. Moritz World Snow Polo Cup. 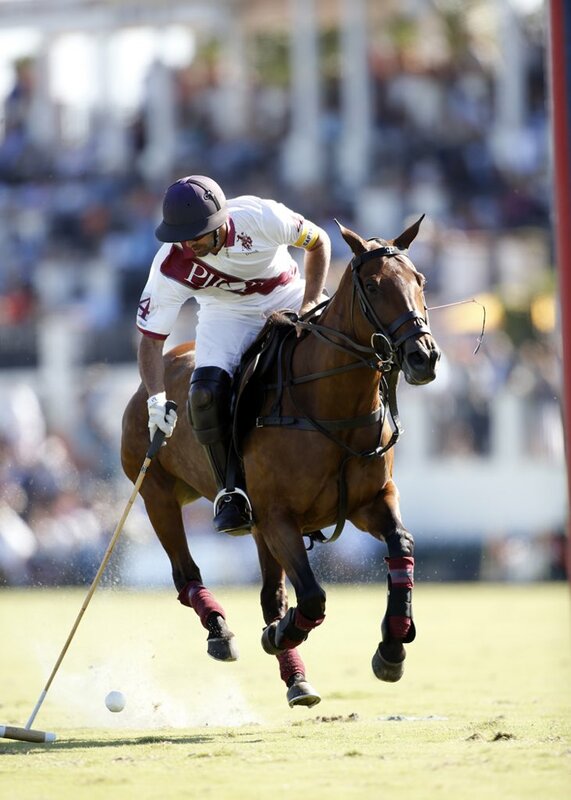 Grand Champions tournaments attract a large international field of players from all corners of the world including India, Mexico, New Zealand, Costa Rica, Argentina, Canada, Ecuador, Brazil, Switzerland, France, Germany, Uruguay, Azerbaijan, South Africa, Venezuela and England. 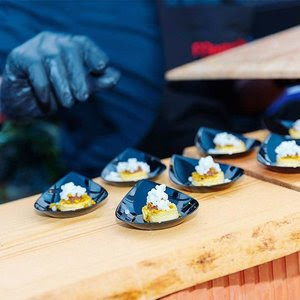 Fans in the VIP tent are treated to fabulous food throughout the event. Photo courtesy of Snow Polo World Cup Kitzbuhel. 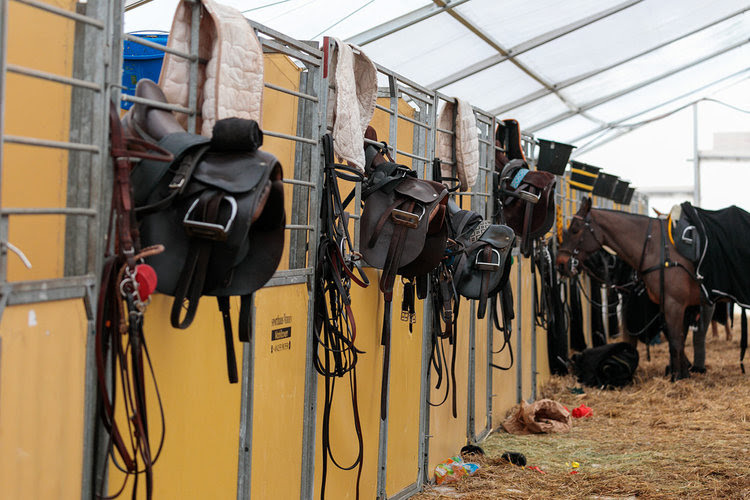 The tack is ready and waiting for the tournament horses in their warm makeshift barn. 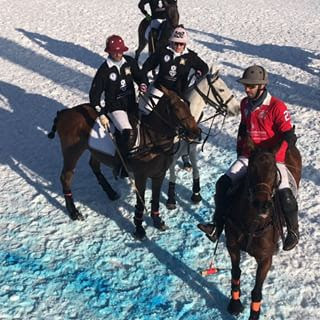 Photo courtesy of Snow Polo World Cup Kitzbuhel.